For my birthday, your daddy got us an umbrella for the beach! and 'Band of Oz' playing (since that's the band we saw at the beach last year). while listening to beach music! It was such a great weekend. then went to Rutledge Cab for dinner. 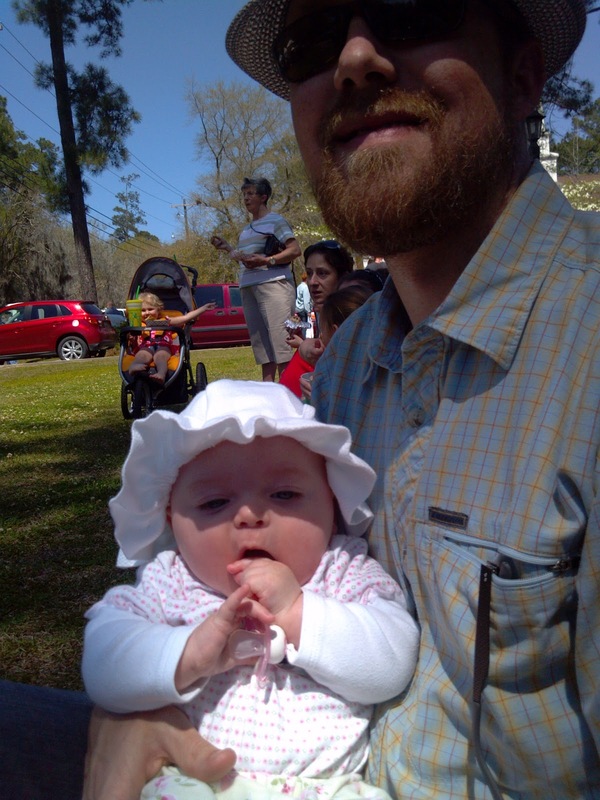 Saturday, we all headed to Summerville for the Flowertown Festival. steaks, baked potatoes, and salad. Mostly it was just good to hang out with them! at the outlet mall, so fun! Thanks Heather! I enjoyed your trip to San Fran as well... meant to comment! Takes me back to my Cali days! !